Taking the ATV’s up the logging to Kirkland Ridge. Miles of trails to ride and a great way to spot Moose and Black Bear. It’s not all hunting & fishing on Tucker Ridge… ATV trails crisscross throughout Maine with shared access routes to get to them. The most popular time is right after mud season (Spring in Maine), when the trails are hardened up and have been opened for the season. Memorial Day weekend is the unofficial kickoff to “Wheelin’ Season” locally. 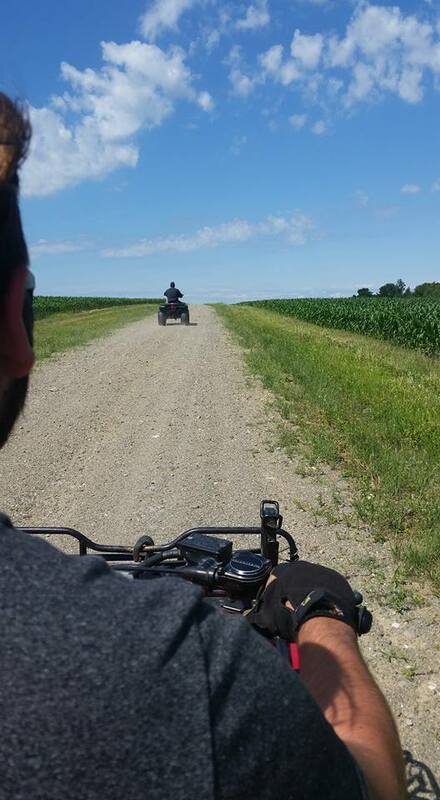 At Tucker Ridge Outdoors, all roads in the vicinity are ATV approved. Leave your car or truck parked at the cabin and enjoy your outings by ATV. From birding to moose watching, picnics to trail rides, you can do it all on your wheeler from Tucker Ridge. What are you waiting for? Book a stay and load up the 4 wheeler’s!